SEO Campaign Management delivers a strong, sustained organic presence and ongoing advantage against your industry competitors. 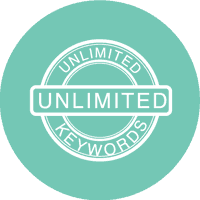 Our SEO Services provide unmatched valued via our unlimited keyword campaigns. TopRankings invest time to understand your business, its SEO history and online goals and objectives. Keyword Discovery & Opportunities Analysis & Reporting. Target Audience & Key Competitor Insights. Technical On-Page & Off-Page Audit, Website Content & Conversion Audit, Present findings in a comprehensive report. Technical & Strategic implementation of identified requirements from steps 1,2,3 – formulate the customised strategy for your SEO Campaign. TopRankings SEO Melbourne Service helps you dominate your industry and drive more qualified business leads to your business. A strong online marketing partner, TopRankings continues to deliver results in highly competitive industries since 2007. 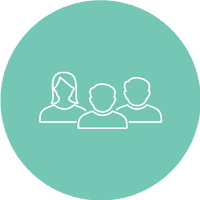 Our experts take a highly customised approach to your campaign by auditing your current website together with that of your competitors and industry landscape, helping map out the right strategy for your unique campaign. We encourage you to shop around. You will often experience shallow sales conversations selling you 15 to 50 keyword packages backed by performance timeframe guarantees that even Google advises you to stay clear of. By contrast TopRankings offers Unlimited Keyword SEO Campaigns and uses its 10 plus years experience to guide you on realistic timeframes. TopRankings conducts SEO Campaigns using Google’s White Hat Policies. With ongoing industry research, we carefully evaluate all official and non-official industry comments from reputable sources including Google and other SEO Publications. Our conversative approach directly influences strong sustainable organic presence growth for our clients. All our client SEO Management Campaigns commence with an opening report that capture your current organic footprint metrics including rankings and traffic, prior to commencement. 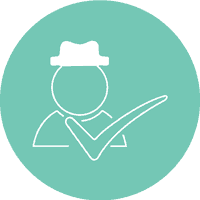 This ensures our team protect current phrases, while also understanding which phrases are priority to optimise and include in future monthly reports. We respect you’re the educated type and therefore guarantee you will stay clear of cheap ‘timeframe performance guarantees’ typically ‘promised’ by any other SEO Agency offering quick results and at a super cheap monthly investment. Measurable traction is typically experienced in the first 3 months of your campaign. Having worked with hundreds of clients since 2007, the time it takes to experience long term superior online presence including traffic and rankings considers many elements such as domain age, history of SEO on your website, who your direct industry competitors are, the phrases your company wish to focus on. Generally speaking non competitive industries experience great results closer to month 6 while very competitive industries experience superior online presence and traffic surges closer to month 9-12 from commencement. Our team report monthly on the progress of your campaign to keep you informed and keep themselves accountable. We guarantee ethical “White Hat SEO’ techniques to drive your business long term sustainable results against your industry competitors. We risk our own reputation but more importantly we risk your company’s future online lead generation & sales if we choose anything other than the right conservative & balanced approach to SEO. What SEO Keyword Packages do you offer? TopRankings is your strategic online marketing partner. Your prospective buyers search for your products or services in countless ways and therefore our team adapt commercially by providing you the freedom to target an unlimited number of search phrases to help you grow your bottom line – online. How do you price the investment for ongoing SEO Campaign Management? With SEO proving itself to require a custom and tailored approach for each client, we price your investment based on the competitive nature of your industry, your search phrases, your SEO history and the level of effort to deliver you sustainable online results. Absolutely and we’re proud to emphasise the critical importance of this investment on your part. Our team invest heavily into the upcoming strategy for your campaign, and our set up fees cover the time spent by our team to discover the keyword opportunities for your campaign, analyse your website’s on page & off page SEO gaps including content gaps. It is this level of attention towards your campaign that is critically important to achieve long term sustainable results. SEO Management works best where in an ideal scenario of any campaign, your SEO Agency has full access to your website, both for the content management system, as well as the Files Transfer Protocol ( FTP ) access of your website. The content management system should ideally not be a proprietary one, but rather an open source system like WordPress. Since 2007 our team have encountered several businesses who have their website agency hold them hostage to their website by restricting access and also charging exorbitant fees for any small change that would have otherwise been able to be done quickly by TopRankings SEO Melbourne Agency. Outside of cost blow outs, the greatest drawback is that requests that are not actioned in a timely manner directly impact on the speed by which results can come to fruition. Experience has shown that WordPress is one of the most strongly ranked Content Management Systems, that equally provides businesses full ownership and autonomy for changes. TopRankings SEO Melbourne by contrast to many other SEO Agencies, provides a very integrity driven approach to any new prospect client engagement. If your website does not meet certain benchmark standards to commence an ongoing SEO Campaign Management Campaign, we will be bold and honest enough to tell you so from the outset. Our team often reflect on the analogy of ‘Sometimes you need to revisit the architect, before engaging the builder, before considering spending money to invite your guests over prematurely and have them visit a home that quite simply is not accessible, presentable and guest ready. Websites are a precious and highly critical lead generating assets for your business and its growth. But don’t be persuaded to invest in online marketing by a sales representative whose only vested interest is their sales KPIs for the month. At TopRankings, our screening process directly reflects strong results for our clients which as a consequence has nurtured them to become highly loyal clients for a considerable number of years compared to our industry peers.